Second Chance is a web-based tobacco education program for middle and high school youth who have violated a tobacco policy at school or a law in the community. It is a FREE on-line, interactive, and self-directed program intended to be used as an alternative to suspension. The program may also be helpful for teens that are experimenting with tobacco, but have not violated tobacco policy. Includes a dedicated section on e-cigarettes and vaping. 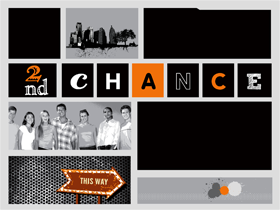 Second Chance is an educational program designed help students think about the role that tobacco plays in their lives and move them towards quitting. Second Chance is not a cessation program.